Member rates – Get discounted rates for WLA conferences and workshops. WLA Wednesday – Receive a weekly e-newsletter of library news and professional development. Divisions and Sections – Get access to Divisions and interest-based Sections that provide focused listservs and events for the sharing of professional information and resources statewide and across different kinds of libraries. Leadership opportunities – Serve on or chair statewide committees and task forces, plan events and conferences, present programs, hold WLA Board or steering leadership positions, and more. 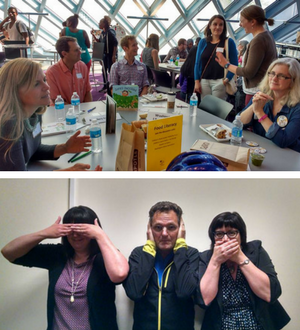 Library advocacy – Benefit from the support and advocacy work of WLA’s legislative liaison representing the interests of all of Washington libraries, and attend the annual Washington Library Legislative Day. Networking – Make new connections within the state’s library community. Continuing education – In addition to the professional development above, WLA conducts a biannual continuing education needs assessment in partnership with the Washington State Library. Up to $10k $20 Individual Employee memberships are for individuals employed currently employed in any type of library. The rate each Individual member pays is self-selected. WLA does not collect income information about our members. Student $20 This WLA membership is for current students. To join both ALA and WLA, see the ALA-WLA Joint Student membership. ALA-WLA Joint Student $42 Students are encouraged to explore ALA's Joint Chapter Membership. Eligible students must enroll directly through the ALA/WLA Joint Membership Program. $20 This membership is for individuals who are library trustees, retired library employees, or unemployed. Friends, Foundation & Nonprofit $20 This membership is for individuals associated with a Friends of the Library group, foundation, or other nonprofit. Business & Sales $50 This membership is for individuals who are associated with library-related businesses or vendors. Payment of membership dues is deductible for most members of a trade association under Section 162 of the Internal Revenue Code as an ordinary and necessary business expense. However, the Washington Library Association estimates that up to 54% percent of dues payments are not deductible as a business expense because of WLA lobbying activities on behalf of its members. Any donations received by WLA as a 501(c)(4) organization are not deductible as charitable contributions for federal income tax purposes. Join as an Individual Member! Are you ready to join as one of the above member types? Use this online form to join! Membership expires one year from your join date. Your membership now includes one free Division, and you may add any additional Divisions for $10 each. All Sections are now free to join. Click here to renew your WLA Individual membership. Existing WLA members must log in to renew membership. If you need assistance logging in, please contact the WLA office.